It’s not surprising that an increasing number of people are choosing to use gas boilers today. These are after all more efficient and reliable than traditional heating systems and modern technology ensures that they run more smoothly as well. There are four main types of gas boilers. The one that suits you the best will be dependent on several different factors including the total area that the heater needs to cover and the hot water requirements in your home. Combi Gas Boilers - These are the most popular boilers in the UK and are used for central heating as well as heating up water in homes. Combi gas boilers are very reliable, economical and great space and energy savers. The water gets heated instantaneously and you are able to get hot water from a tap or shower the minute it is turned on, which rules out the need for cylinders or water storage tanks. 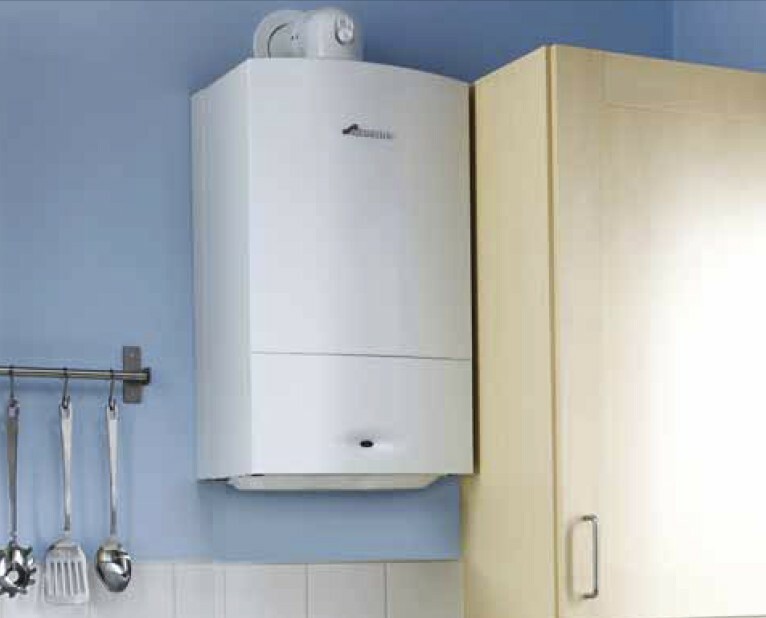 Heat Only Gas Boilers - Heat-only gas boilers need the installation of a cylinder for storing hot water as well as top-up tanks that will hold cold water. These provide hot water in taps as well as central heating. They are generally compact and are ideal for homes that have space constraints. System Gas Boilers - System gas boilers are similar to heat only boilers. The main components, including the expansion vessel and the pump, are built into the boiler and they have the capacity to store hot water. Since all the systems already exist within the main body, installation is easy, efficient and quick. Back Boilers - These are compact boilers that are generally fitted right behind an electric fireplace in the chimney breast. They have a water storage cylinder that provides hot water and central heating. Just like any other machine, gas boilers too require regular maintenance and regular check-ups done by a professional. If your gas boiler does break down, no matter how tech-savvy you are, do not try to fix the boiler yourself. While it may be no more than a seized part, it’s always better to err on the side of caution. The first thing you should do is to turn off the gas supply that leads to the boiler. Contact your insurance company if you have insurance cover for it. Also check whether your home insurance covers gas boilers as some companies include this clause in the policies. Most insurance companies have a 24-hour emergency number which will be mentioned on the actual policy paperwork. Some have tie-ups with gas companies and will take the entire issue off your hands while others may ask you to hire the services of an engineer after providing the company with a quote. In the event that you do not have insurance cover for your gas boiler, contact an engineer as soon as you can. Check if the engineer is Gas safe registered and is certified to work on a gas boiler. This is extremely important as an untrained person may do irrevocable damage to your boiler and a malfunction could prove to be hazardous. Get references from family and friends. If that is not possible, approach a reliable and well-established, registered company. They will have experienced engineers on call who specialize in gas boiler repair. Resist the urge to hire the first you come across. Instead, get multiple quotes from different companies. Comparison shopping is the best way to get a good deal. Even if you have insurance cover for the boiler, it is best to settle for a reasonable quote. Insurance companies will either have a cap on the expense or will hike your premium which simply means that at the end of the day, the higher rate will go straight from your pocket. When it comes to gas boilers, proper installation, timely maintenance and regular checks are key to efficient and proper functioning. However, breakdowns can and do happen and when they do, choosing the right engineer to repair it can make the difference between a job well done and a mediocre job that will more likely than not result in another breakdown not too far in the future. This article was written on behalf of WPJ Heating, an established company who offer a full range of plumbing and boiler repair London services. I’m constantly looking for interesting things to read about a variety of subjects, but I manage to include your blog among my reads every day because you have compelling entries that I look forward to.